Designed by us here at Grizzly, these new re-saw fences are an upgrade to the standard fences and allow users to alternate between a taller and shorter fence within seconds. The removable extruded re-saw fence allows you to lower the blade guides closer to the shorter fence for doing normal work. 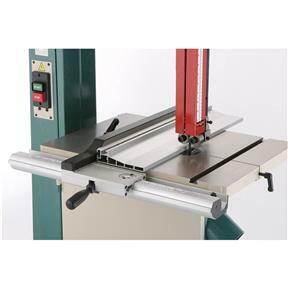 These fences can be purchased as a retrofit kit for existing Grizzly bandsaws as well as a complete fence system for just about any brand of saw with proper table dimensions. 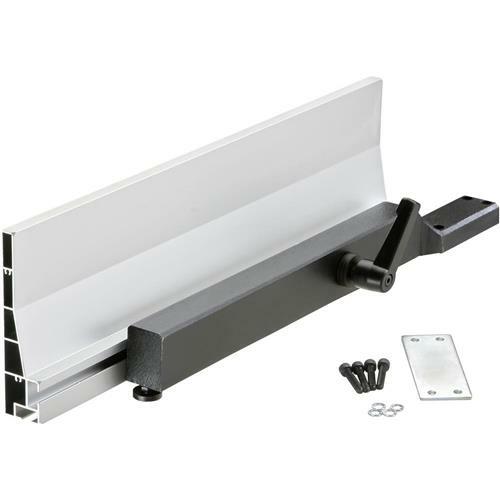 This retrofit kit allows you to upgrade your G0555/G0555P/G0570/G0457 bandsaw's existing aluminum fence to a cast iron fence with the taller re-saw fence attachment. Simply unbolt your existing aluminum fence (4 bolts) and bolt on the new cast iron fence. Takes less than 3 minutes to switch over! Note:Does NOT fit models G0555LX and G0555LANV. If you own one of these models, order the H7587 Resaw Fence instead. I bought this for a G0555P and I am happy with how it works. I feel like I would want to use the old fence for some things but the flip down feature should work. I wish this came with the fence base that clips onto the rails but I am super happy with the strength and support while resawing. 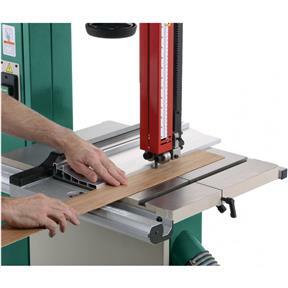 This is a must for any bandsaw. Well designed, nice and heavy, and easy to setup and adjust. This is the best purchase I have made for the bandsaw thus far. The versatility of resaw and small pieces is great. Buy it!